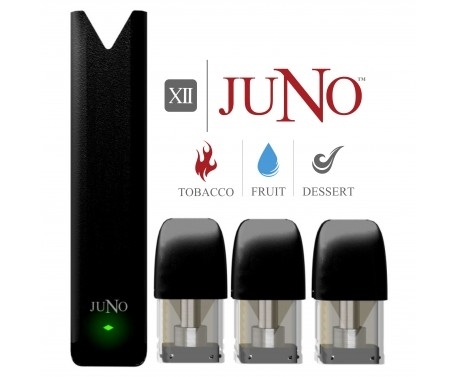 JUNO TOBACCO KIT - Contains a Juno along with 3 Disposable 1.6mL Juno Pods: One Tobacco, One Fruit, and One Dessert, each filled with the Twelve Elements collection flavors - available in 36MG/mL. The Juno Battery unit is 380maH and the kit contains a USB cable and a user manual. 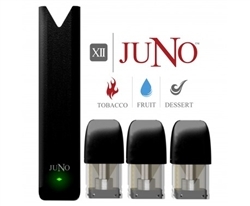 This Juno Starter Kit is great for anyone looking for a convenient e-cig. Please visit Juno Vapor's website to register your device at your earliest convenience. You can register your device here!